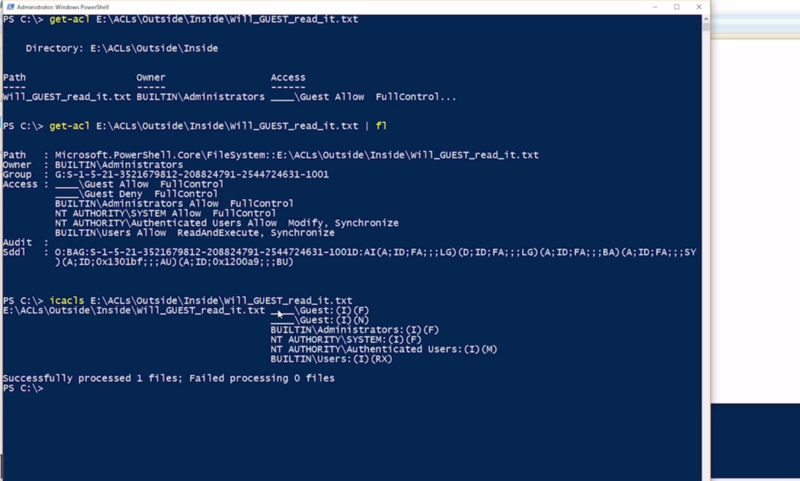 There are some command line tools in windows to check permissions. In the case above we have a file called will_Guest_read_it.txt with both flags „Full Access“ and „Denied“ set on it. That’s a strange case, but possible indeed. And that lead us to the question which permission is stronger? In that case Allow Full Access wins, because windows goes allways top down in ACL and Full Access comes first! Another cool thing is to get the numeric values of system rights. Which OS command allows you to work with file permissions in Windows10? 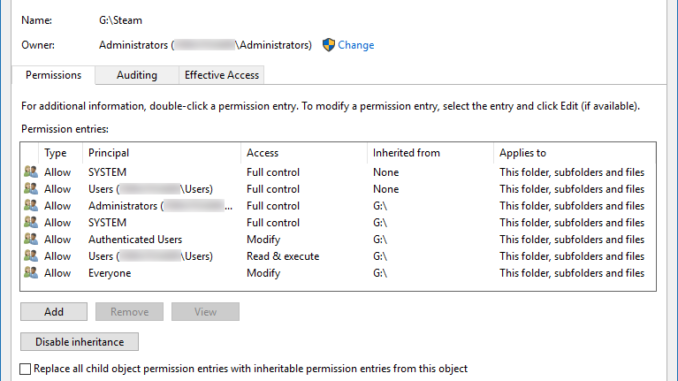 Can one file have both deny and allow entry for the same user/group on the Access Control list? What happens to a file when it has „allow“ and „deny“ for the same group of ACL? How can you set file permissions from Powershell? Do Registry hives have permissions (ACLs)?